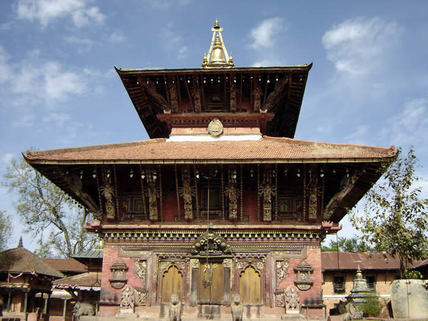 Changu Narayan is situated at the end of a long ridge which runs well into the Kathmandu Valley, it is said to have been built by King Hari Dutta in 323 AD and said to be the oldest temple in the Valley. It has listed in the UNESCO World Heritage Monument List in 1979. Nagarkot is a popular tourist place of Nepal. It is 32 km east of Kathmandu at an altitude of 2175m. The panorama of the major peaks of the eastern Nepal Himalaya including Sagarmatha (Mt. Everest) can be seen from here. Nagarkot is famous for sunrise and sunset viewing. This trek links between Changu Narayan and end at Nagarkot. This trek can be extending up to Nala or Dhulikhel or Namobuddha longer as per your interest and permission of your time. Arrive in Kathmandu airport. Then transfer to Hotel. After breakfast,full day city Tour at Kathmandu in important and popular tour spots which are related with history, culutre and tradition of Nepal ,Pashupatinath Temple, Boudhanath Stupa, Swayambhunath Monaster and Patan Durbar square which are in records of world heritage sites too. Trek from Nagarkot to Changunarayan and drive from Changunarayan to Kathmandu. The most popular walk leads down from Nagarkot along a ridge to the temple of Changunarayan-with views of Sankhu village to the right and Bhaktapur to the left. Changunarayan is situated at the end of a long ridge which runs well into the valley. It is said to have been built in 323 AD by King Hari Datta Varma. The temple is richly decorated with sculptures and carvings. It is said to be the oldest temple in the valley. After excursion in and around Changunarayan you board the vehicle to get back to Kathmandu.